Tender, zesty and flavor-packed barbecue chicken is slow cooked in a crock pot. 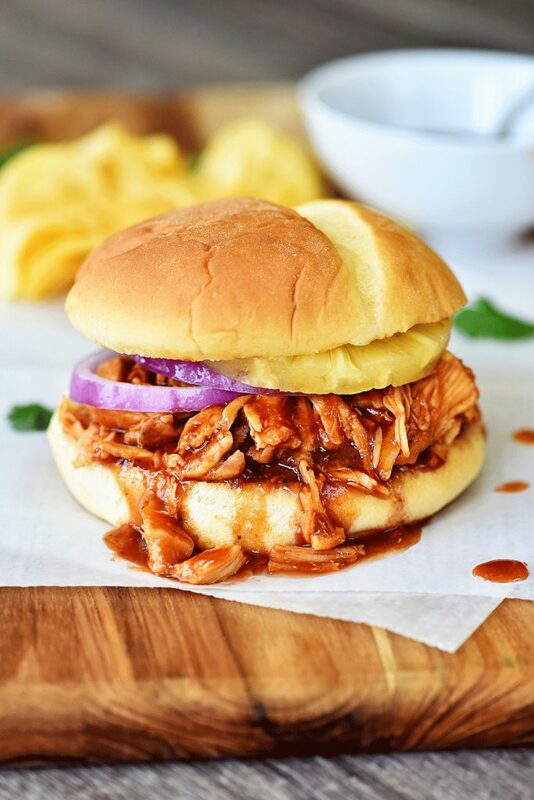 This delicious BBQ Chicken goes great in sandwiches, salads and more! 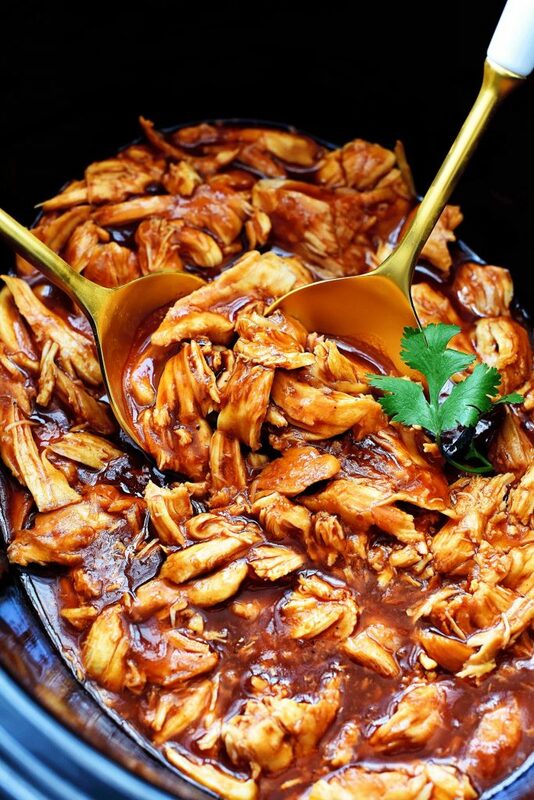 Today’s recipe is truly the BEST recipe for CROCK POT BBQ CHICKEN! 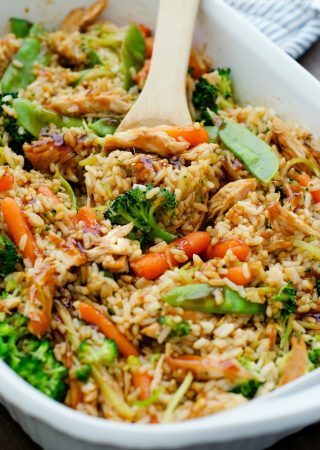 I found it off my good friend Corey’s blog FAMILY FRESH MEALS! 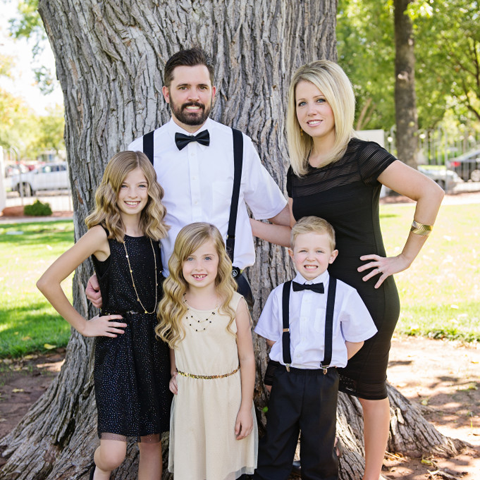 Her blog is full of awesome family-friendly and kid-friendly meals. I have followed her for a long time and you should too if you haven’t yet. When I read through her recipe for this chicken I knew it would be a winner. And of course, it was! I actually already have a recipe for BBQ CHICKEN on my blog that’s made in the crock pot. It is delicious but I think this one beats it hands down. I loved the addition of Worcestershire sauce and Italian dressing. It kicked my recipe up to all kinds of delicious levels. I really love how easy both recipes are. 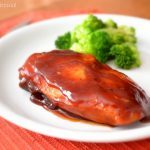 Just throw it in the crock pot on your lunch hour and just a few hours later you will have some tender, yummy barbecue chicken that you can add to anything! Pizzas, sandwiches, salads. You name it! I went the sandwich route this time. We slathered on lots of this amazing chicken on hamburger buns, then topped it off with slices of pineapple, red onion and cilantro. Talk about heaven! Spray the inside of a large crock pot with cooking spray. ( I use a 7 quart) Season chicken breasts with salt and pepper then lay in bottom of crock pot. In a medium bowl, mix together barbecue sauce, Italian dressing, brown sugar, Worcestershire sauce and garlic. Pour mixture evenly over chicken. Cover crock pot with lid and cook on HIGH for 3 to 4 hours, or on LOW for 5 hours. Serve chicken either whole, or shred with two forks. Serve on hamburger buns, pizzas, salads or whatever your heart desires. Enjoy! Looks delish! It’s in the crockpot right now :). Bought some cole slaw and fries to go with the sandwiches :). This was excellent!!!! 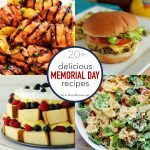 I doubled the recipe and we ate on it for several days… sliders, on top of baked potatoes, and (my favorite) bbq chicken pizza! 4 hrs. Crock pot cooking generally doesn’t change the time. “High” means 4 hrs. “Low” means 7-8 hrs. Can i make this without the brown sugar? I did it with half a bottle of sweet baby rays and a medium can of bushes beans in about 5lbs of chicken breast on high for 4 1/2 hours. It is delicious. In the crockpot now, can’t wait till dinner time! Serving with corn on the cob and au gratin potatos! Do you think I could substitute a packet of Zesty Italian dressing seasoning for the actual dressing? Trying this recipe tonight. Thanks! Sounds great. What is the calories? My husband is diabetic any suggestions to reduce sugar level? My wife has gestational diabetes and this pregnancy has forced me to become a better cook. I used sugar free bbq sauce and a brown sugar/ artificial sweetener blend I picked up at the local grocery store. It still tastes amazing. Put it on a Italian kaiser roll. Amazing! I’ve cooked it twice now and it is so yummy. I add a little bit of liquid smoke for some extra smokiness!